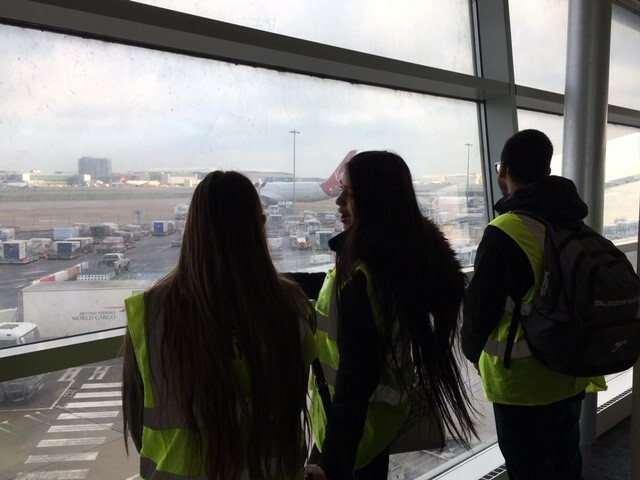 Our year 13 Employer Engagement group have enjoyed a visit to British Airways parent company, IAG Cargo at Heathrow. This is part of a programme of events and activities designed to get our year 13 work ready including exposure to a variety of real life working environments. Two IAG apprentices gave us an insight into the working day at IAG Cargo where they receive freight of all types and repackage it for onward forwarding. They described their comprehensive training programme leading to NVQ level 4 in warehousing through a combination of on-the-job and online training. We also found out about some of the more unusual and high value freight items they have received such as a lion, medical supplies and high performance cars ! A huge thank you to our partner Outsource Training who set up the visit.